Posted in BI Industry, DAX, Dunn & Bradstreet, Microsoft BI Platform, MVP Community, Power View, PowerPivot, Tabular Models. If you plan to attend SQL Saturday 267 in Lisbon, Portugal; I hope you can join me. 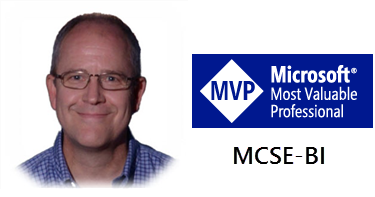 My three presentations include a full-day preconference on Friday, the 11th of April on Building a Complete BI Solution with Office & SQL Server. There is still plenty of time to register. On Saturday, the 12th of April, I have a session at 3:30 PM titled Visualization Choices: What, When, and How? and at 5:00 PM titled Tabular Models: Easier & Faster Than Cubes; Really? This full-day, interactive demonstration will show attendees how to use Business Intelligence tools to create a complete solution delivering dashboards, self-service and mobile BI. We will create a solution with and without SharePoint integration using on-premises data sources. Attendees should have a basic knowledge of SQL Server design and management tools and should know how to use Office Excel 2013. At the conclusion, attendees will know how to use SQL Server Data Tools (SSDT), the Excel PowerPivot add-in, Report Builder and Power View to create and deliver dashboard and self-service reports. We will also demonstrate the use of 3rd-party tools to deliver mobile extensions to an on premise BI solution. Begin with a brief and high-level introduction to the components of traditional BI solutions to help attendees appreciate the usual scale and cost. Discuss the options to scale these items for small and large projects. Discuss the trade-offs for each and the value of centralized solutions, data quality and master data management. Discuss the challenges of designing, building and maintaining large-scale BI solutions. Discuss the criteria for choosing among different tools for browsing & presenting results. San Jose is the place to be for two big events this spring. SQL Saturday Silicon Valley (#276) is this weekend, March 15. Current registrations will make this one of the largest SQL Saturday events in history. Follow #SqlSat276 and go to http://www.sqlsaturday.com/276 for event information, session schedules and downloadable content. Ask us your tough BI questions and we’ll use them for discussion in our BI Expert Panel session. The PASS Business Analytics Conference is also coming to San Jose on May 7-9 and will be the premier event for the Business Intelligence and Business Analytics communities. Please join us as we bring the community together once again.